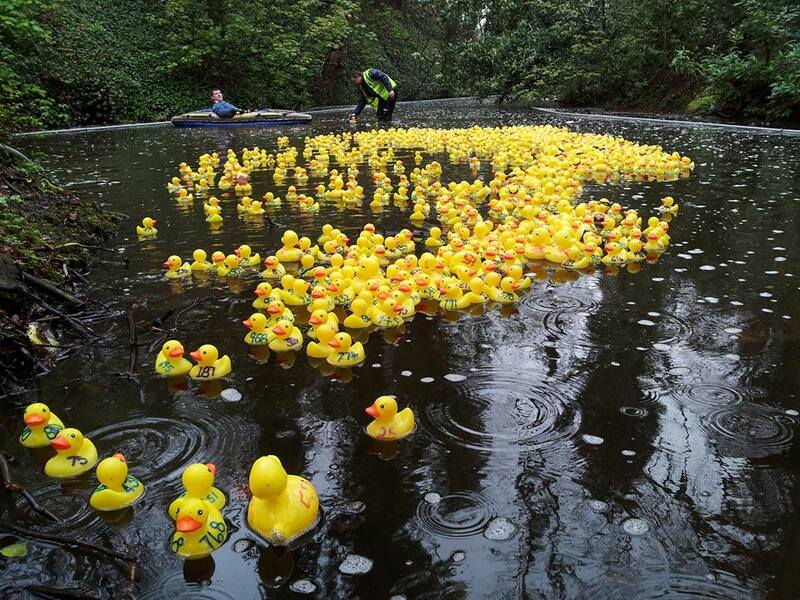 Each year on Easter Monday at 12:30pm, Lymm & District Round Table launch a thousand pedigree yellow racing rubber ducks into Lymm Dingle. After a year being cooped up in plastic crates, the ducks can’t wait to get their feet in the water and some wind in their feathers. There is tension and drama galore as the numbered ducks race for the finish line cheered on by the crowds. There can only be one winner. Which duck will it be? To take part in this grandest of spectacles visit the tickets page. All profits after event and club running costs go to charities and local community groups. There are prizes for First place – £100, Second – £50, Third – £25.